Steadies aim for improved accuracy. It should fit Gunpower Stealth rifles. You maybe also interested in ~ Dovetail rail raisers. 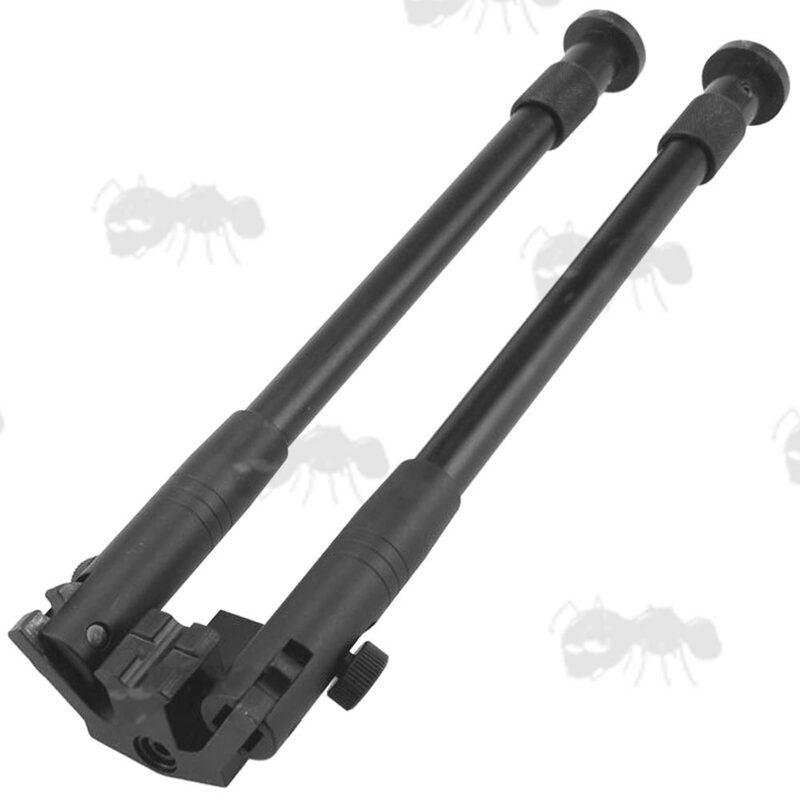 Slimline rifle bipod with accessory rail. For standard 9mm-11mm wide dovetail rails. Black anodised aluminium frame and legs. Spring-loaded legs can be tightened at any position (for uneven ground). The legs extend 270mm to 370mm. 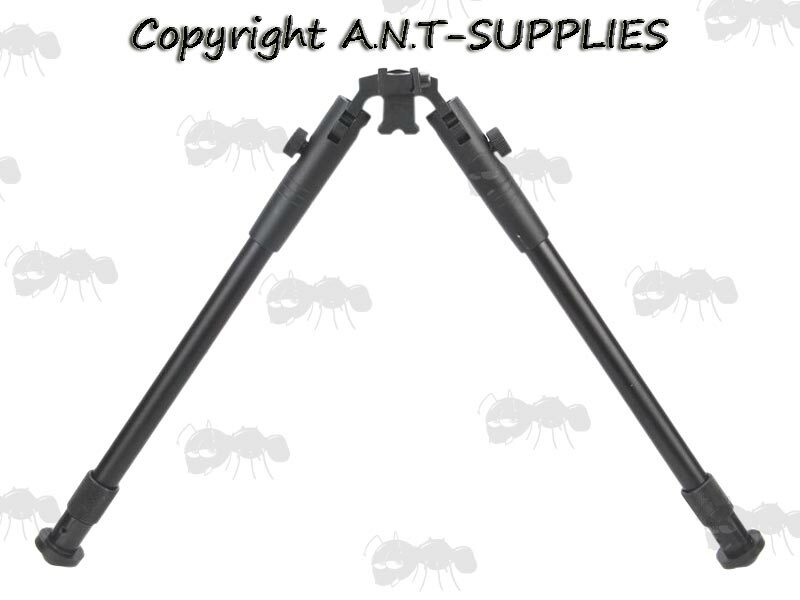 The legs fold up inline with your rifle when not in use. Also available ~ dovetail rail QR stud mounts.